It doesn’t matter if you want to use your camera professionally or personally. Normally, you just want it to be practical and can be used in various situations. 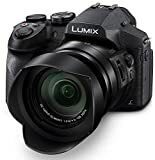 That’s why we have come up with these top 10 best low light digital cameras in 2019 that are known for its versatility and dynamic performance under low light. It will make sure to enhance your shooting experience. Without further ado, let’s delve into the list. Comes in three different colors for you to pick from (Black, red and silver). This digital camera has a powerful 25x (25-625mm) optical zoom suitable for close up shots and distant sights. On top of that, the Intelligent IS has the ability to provide images stabilization, helps you to capture shake free images. Not only you can take stunning pictures with the camera, but you can also record 1080p full HD videos. The camera can be used during day or night as it equipped with 20.2 megapixel CMOS sensor as well as DIGI 4+ image processor. You can take photos in different shooting situations with the presets and optimized settings. For an easy sharing and transferring of images and video, the camera has a built in Wi-Fi and NFC, which allow you to transfer files at ease. For this one, one of the special features to mention is the 30x optical zoom plus 60x clear image digital zoom. It allows getting super close to your subject result with realistic and high quality photos. Furthermore, you can keep track of the subject in sharp focus with the ability to select a focus point on Lock-On Auto Focus. The electronic viewfinder will help you to monitor your angle accurately. For flexibility, the camera has four different modes for quick manual adjustment. Additionally, a control ring is also available to assign with the functions easily. Guarantee that you would never miss any moment, with ultra-fast shutter lag of approximately 0.008 second. And, feel free to capture up to 10 frames per second with full image resolution (18.2 megapixels). Plus, the LCD display screen is 3 inches and comes with a multi-angle perfect for selfie. The large screen makes it easy to scroll through settings and a better preview. Next one on the list, the FZ300 can travel anywhere with you and shot during unexpected conditions due to its splash and dust proof body. You can shot in low light environment with confidence from the 12.1 megapixels MOS sensor avoid small aperture settings. The 1040k-dot displayer is touchable, so it provides a quick set focus within a click. It can also be tilted and swiveled offers a conveninet use. The Panasonic app on smart phones allows you to control from a distance. Moreover, you can view and transfer your snapped shots to your device through Wi-Fi as well. And, the LUMIX FZ300 is capable to capture pictures in RAW format and micro shots minimum distance of a centimeter. This point and shoot camera offers one of the best picture captures and smallest size. When shooting in low light, it will deliver stunning images with 20.2 megapixels CMOS sensor combines with DIGIC 4+ Image Processor. You can as well create unique photos through creative shot mode. It starts recording your video by a touch on a button that dedicated movie button, produce high-quality video (1080p video capability). And, now you can even record movie in MP4 format for easy online sharing. Talking about sharing, the camera offers a built-in Wi-Fi and NFC allows easy sharing and transferring of images/videos. Pick your favorite digital camera from three unique colors (Black, purple and silver). And, this one is deally made for travel as the size is only 3.1 x 4.4 x 2.6 inches. This guy is best known for its low light performance up to ISO 12800 help to deliver images without noises. Furthermore, it can capture the stars using star mode setting with 20.2 Megapixel* High-Sensitivity CMOS sensor. You will never miss your objects in continuous shooting speeds of 6.0fps help to track fast moving movements. The three inches touch panel makes the setting that adjusts frequently more accessible. Plus, a control ring is equipped onto the lens. With this one, you can expand your experience on recording videos in 1080p full HD. What’s more, it takes video making further with its high-end features. The camera is designed in a slim profile for an easy grip of the camera, and it’s pocket-sized, so you can carry it around easilys. This camera has a multi-angle touch panel LCD with a resolution of 1.04 million dots. In addition, it can be titled option of 150 degrees up and 45 degrees down. Whether you shot in RAW mode or JPEG mode, you will achieve impressive high-resolution images with continuous shooting up to 8 fps. Equipped with 4.2x optical zoom lens features a bright aperture value from 1.8 to 2.8f. The lenses are suppressing ghosting and flaring due to the coating protection on it. Video that has been taken at 60 fps with stereo sound (MP4 format) is smooth and richly detailed. The versatile control ring is a convenient way to navigate menus and adjust photos. And, feel free to switch between step ring and continuous ring movement with selection lever. With or without flash, the PowerShot SX720 HS is ready for adventurous moments. The 40x optical zoom (24-960mm) of this canon low light camera allows you to take close-up photos of portraits to landmarks in distance beautifully. Go through all your materials with a mini highlight reel as well as music and effects. With its 40x optical zoom lens and telephoto to help reach long distance subject. The camera will automatically zoom out with the zoom framing assist button. You can show others what you have captured on the 3’’ LCD display screen. Also, it has a resolution approximately of 922,000 dots to enhance small details clearer and viewing. With improved light sensitivity, both stills and videos have less noise when shoot in dark condition. You can record your videos in two different styles; one with 100fps in HD resolution and 200fps in VGA. Both the high-speed burst and light speed auto focus combine for perfectly focused images no matter how fast your subject moves. When used to capture in low light environments, the result is detail and less noise on the image. Extra lens are not needed, as the lens is equivalent of a 300-400 mm zoom. Compose the perfect shot with 12.1 Megapixels resolution delivers stable framing and superb visibility, in any light condition. The LUMIX ZS50 provides an easy manual control such as exposure, zoom and focus with the lens-mounted control ring. The operation is silent and smooth gives you full control on your device. The COOLPIX P900 serves outstanding image quality. This best low light camera provides finest details even in low light with 16megapixels CMOS image sensor. And, the viewfinder is electronic that turns on automatically once you raise it to your eye-level. With 2,000mm equivalent focal length, you can capture every little detail that is not visible to naked eyes. What’s more, it furthers the distant up to 4,000mm with the dynamic fine zoom without blurry image results. For an easy use of zooming, a snap-back zoom button is available. Keep track of your memories easily with built-in GPS. Each shot that you take the camera will record the exact location and date. Last but not least, The RX100 is made from aluminum, making the camera light weighted (0.53 pounds); easy to carry around with you. You can capture brilliant images with the optical sensor resolution of 20.2 megapixels. And, the result will please you as the images are sharp and pro-quality defocused bokeh backgrounds. The lens is large and built with an inches sensor as well as ultra-bright Carl Zeiss f/1.8. It also provides you the freedom to capture with four different focusing modes which tracks moving objects and precise adjustment. The camera produces movies at a high frame rate of 6fps with full HD 1080/60p. Its intelligent scene recognition mode can detect up to 30+ types of scenes for photos. And, lastly, this one is capable of capturing images even in the dark with natural result from ISO range from 125 to 6400. Keeping track of your memories in images is probably one of the best human inventions that have been created. Therefore, you get yourself a camera and never miss a single moment in your life again. We hope to help you find the right tool with these top 10 low light digital cameras in 2019 list. You can find all of these items online and be ready to expect stunning images and crystal clear video resolutions.